Blind Dropships - No invoices, recipts or marketing materials. 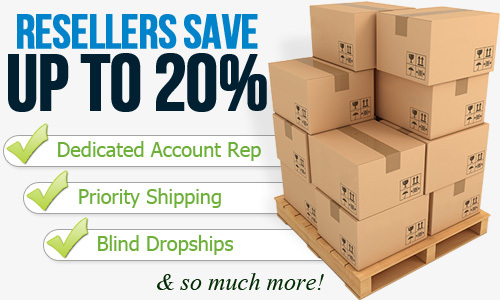 Volume Discounts - Buy more, save more. The more you buy, the more you save! 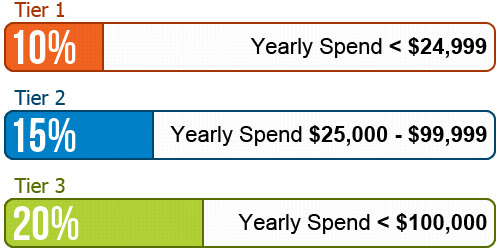 Each tier is dependent on how much you spend in a given year. When you reach the next tier, we will automatically bump you up. Pretty easy right! You will be required to provide a copy of your Reseller's Certificate.